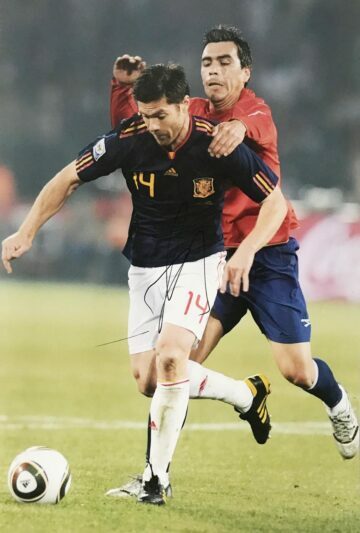 Shop our collection of signed Spain football memorabilia. Autographed shirts, boots, & photographs from the Spanish national football team. Most with a photo of the actual signing! All item comes with free UK delivery, a certificate of authenticity & worldwide shipping! Spain is widely regarded as a nation known for producing world-class footballers. 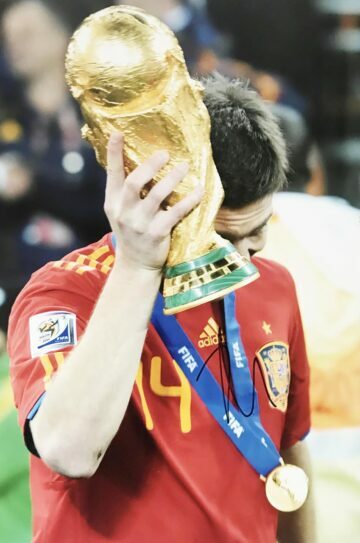 Pique, Casillas, Torres, Ramos, Messi – all household names originating from Spain who have stunned on the world stage. Our international Spain football team signed memorabilia is a celebration of this culture and rich history, which spans decades. Spanish football has a world-renowned and illustrious history. The sport means a lot to the people of Spain – a spiritual passion which is backed up by solid facts and figures. Latest polls showed that football is the sport with the most registered players nationwide. A whopping 75% of Spaniards admitted to buying tickets to attend a football match in the country. This passion and love for the game almost certainly translate into solid success and remarkable results when it comes to growing some of the world’s most famous football players. 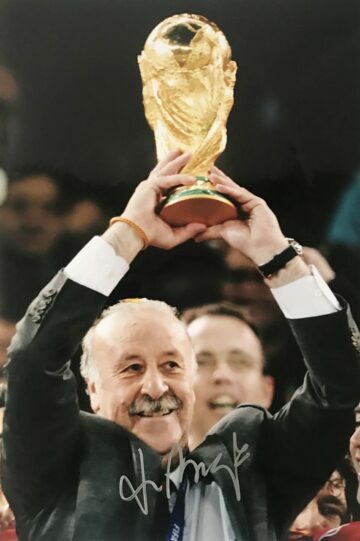 The national Spanish football team has enjoyed success after success on the world stage for many years – growing to become one of the most respected and revered squads in international tournaments. Their track record includes one world cup win and over five shots at the title as well as three UEFA championship triumphs. Spain’s hotly anticipated national tournament of the premier division La Liga takes place every summer, attracting over 150 million spectators throughout Spain and worldwide. 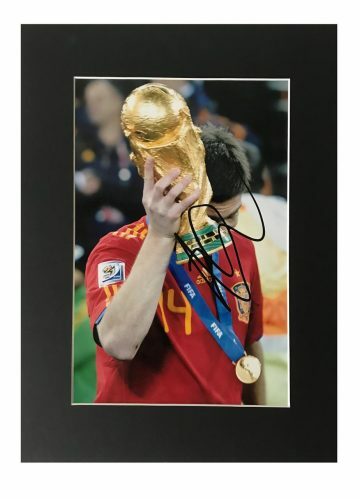 Firma Stella’s collection of signed Spanish national football team memorabilia reflects and captures the nation’s passion and illustrious list of sporting achievements. We have boots, gloves, balls and of course shirts signed by some of its most prolific players and football teams. Each of our specially sourced items comes with a Certificate of Authenticity and provenance details, so you can be sure that your purchase is 100% genuine. Recuerdos firmados del equipo de fútbol de España.